On a little bit more serious note, this is a different eyeliner review mind you, it was a gel liner a week ago and now I'm on liquid liner! 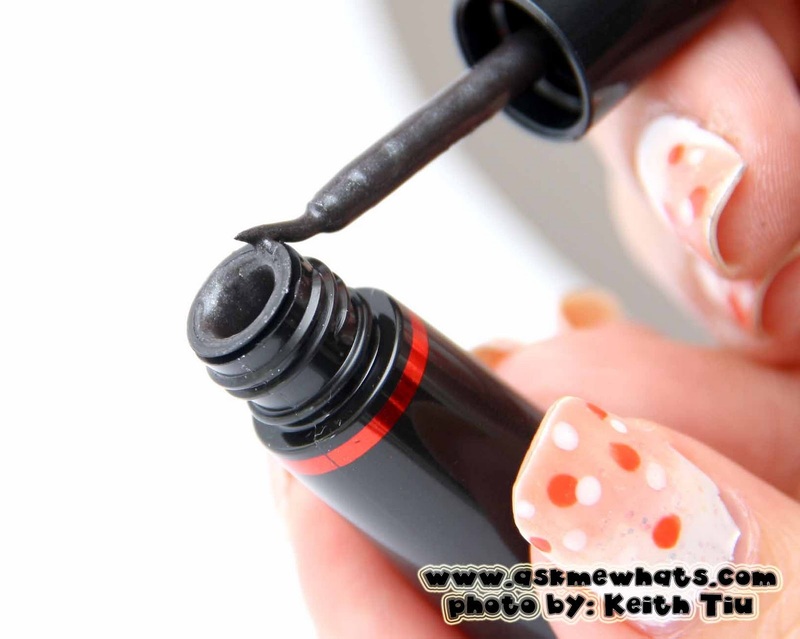 Do you still remember the last liquid eyeliner I reviewed from Revlon? I actually "hit the pan" and finished it because I love the applicator so much I tend to use it more often than gel liners, its easier to bring when you travel too! 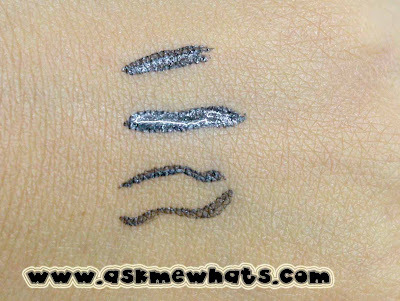 It was a lovely surprise when I saw Avon came up with a similarly "packaged" liquid liner and I'm game to give it a try! This time, its not going to be the regular matte black but in "shimmering black". In Avon's version, it looks a bit "grayish" which makes it even more exciting! Intense liquid color glies over lids without smudging or fading. My favorite liquid eyeliner packaging to date! (same as the Revlon). Very sharp tip, easy to manipulate the brush. 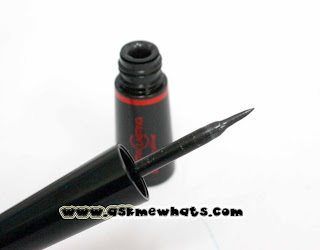 Short and semi-stiff applicator, it can move a bit as compared to other "felt-tip" applicator. The shade Metallic black looks quite natural, you won't see big sparkles. The liner can withstand heat and humidity. Lasts approximately more than 8 hours on me without fading. 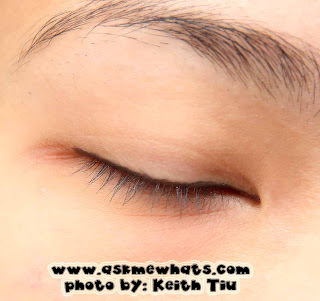 Can irritate sensitive eyes especially if you applied on the lower lash line. 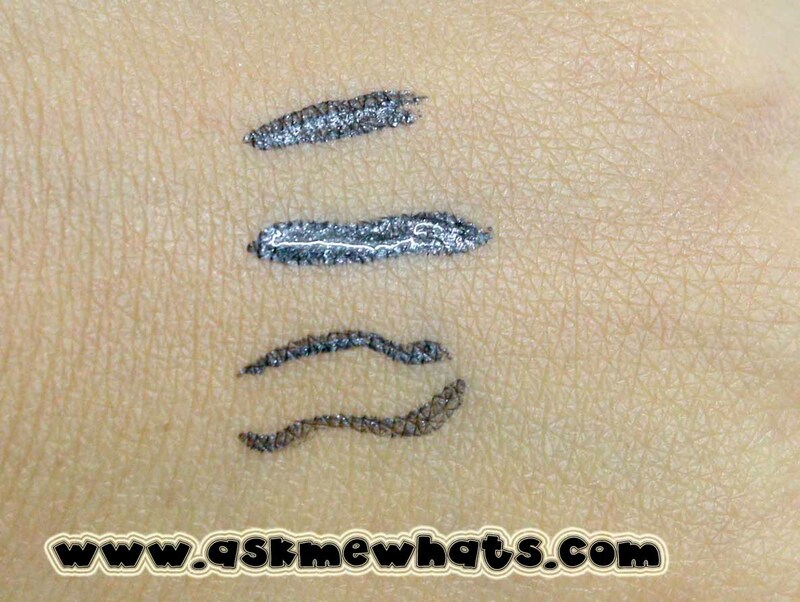 The shade Metallic Black gives a very natural look for a liquid liner. On a normal work day you want to have long-lasting eyeliner minus the smudging or fading, this is the perfect liquid liner to use! I tested this product on extreme condition. I actually wore this when I did some jogging for an hour. I may note perspire as much as other people, I like the fact that I came back without the panda eyes. 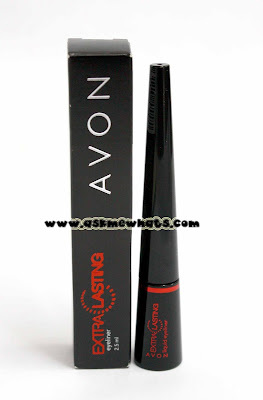 The Avon Extra Lasting Eyeliner is indeed...lasting! And I don't see any transferring to the lower eye area or smudging! Never apply liquid liner on the waterline. Feel free to apply a thin stroke on the upper and lower lashline. Using a liquid liner for the first time? Draw your preferred eyeliner "look" or "thickness" with an eyeliner pencil and draw the liquid eyeliner on top. Or..you can draw tiny dots and connect them. Feel free to tightline with your favorite eyeliner pencil after application. 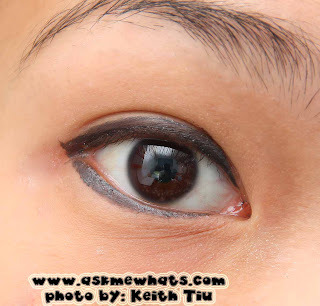 Give a couple of seconds before you completely open your eyes to make sure the liner is completely dry. Allergic reactions occur? Stop usage IMMEDIATELY. Anyone who enjoys the benefits and are comfortable enough to use liquid eyeliners. Call your Avon ladies for Php250.00 (approx $5.95). to define my eyes and make it look a bit bigger! Have you tried Avon's new extra lasting eyeliner? i have this and i was quite disappointed. it's more gray than black and it doesn't last long; i won't recommend this for people with oily lids. for me avon is having a good quality in makeups.. i tried there one product eyes liner also and i really love it because its more easy to use than the other and it haves a thin brush in it... its avon-simply pretty metallic liquid eyeliner... akala ko din hindi maganda eh pero ok pala.. at matagal maubos kasi matagl syang matanggal..
That's a very pretty shade and I like the sleek packaging. But if it's tricky to apply then I'll pass. Thanks for the review. love your last pic! your eye really popped! @Anastacia Oh, other metallic liners are just to difficult to use, this one is way easier, just do not forget to shake this before use! @MereMakeupManiac I know! I used to order via "avon lady" inside the office hahahah love their lippies too! @Photoescape Ah talaga? Do you use gel liners? or just pencils? 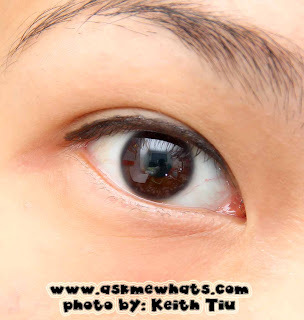 ate nikki, have you tried Fashion21's waterproof Liqiud Eyeliner? it's easy to use and is honestly waterproof, sweatproof aand oily-skin-proof! the best eyeliner i have used ever.